IN GOOD, TESTED, WORKING ORDER. NO FAULTS SHOWING. FROM A 1999-2001 TD5 DISCOVERY. WE ARE AN INDEPENDENT LAND ROVER REPAIR AND PARTS CENTRE. WE HAVE A WIDE RANGE OF GOOD QUALITY USED PARTS AS WELL AS NEW FOR DISCOVERY, RANGE ROVER CLASSIC AND DEFENDER PARTS. Land Rover LR024158 amplificateur, amplificateur TV. 2015 LAND ROVER RANGE ROVER EVOQUE ECU. This item has been removed from a: 2015 LAND ROVER RANGE ROVER EVOQUE. Model: RANGE ROVER EVOQUE. Year: 2015. 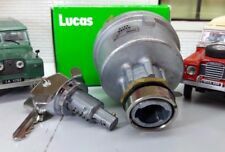 Part Number CH22-15K602-AB. Make: LAND ROVER. Vehicle Colour: Black. Reference OE/OEM Number PRC2670. Part Manufacturer Number 575081. Reference OE/OEM Number 575081. Manufacturer Part Number 575081. WITH OVER 6,000 SQ FT OF SHELVED PARTS, CLEANED AND READY TO DISPATCH WE ARE SURE TO HAVE THE PART THAT YOU ARE LOOKING FOR. PART NUMBERAH22-10D893-AB. 2003-2005 MK2 Land Rover Discovery ABS ECU. Make - WABCO. Numbers on Part - 098430 446 044 031 0. Please make sure part is correct before purchasing. We try to describe our parts as honestly as we can, however please also see our images in case we have missed anything. Any questions please ask. International buyers please contact us for price and availability of postage to your location. Removed from below vehicle -. This listing is for a genuine Land Rover used part This Parking Aid Sensor And Siren Module is from a 2004 Discovery 2 TD5 Please match current part number of YWC000793/YWC000943 as shown in photo. 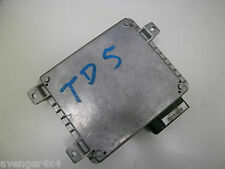 Land Rover Central Locking Unit - LR025842, AH4210F845AA. Genuine New Land Rover part from a Main Dealer - fits a range of Land Rover / Range Rover vehicles. Parts bought and sold. We only deal with the Land Rover. Discovery 4 2010 onwards. Range Rover Sport 2010 onwards. Range Rover L322 2010 - 2012. If you live in Northern Ireland, Scottish Highland, or any of the UK Islands, this may apply. Manufacturer Part Number NNW502652. S’adaptera Land Rover Discovery 3 / Range Rover Sport. Land Rover d’éclairage adaptatif ECU. Véritable partie Land Rover. Vérifiez le numéro de la pièce pour assurer la compatibilité . THIS IS A USED PART SO MAY REQUIRE A CLEAN DEPENDING ON YOUR. Ford Continental SID208. Cloned ECU will be a plug and play with no aditional programming needed. 2002 MK1 LAND ROVER FREELANDER TD4 2.0 DIESEL 5-SPEED MANUAL ECU. FULLY WORKING. GENUINE ITEM. WAS NOT RESET UPON REMOVING. REMOVED FROM A FREELANDER TD4KALAHARI. LAND ROVER P/N -. IRELAND, OVERSEAS (ALL NON MAINLAND. ). New Generation Mini ELM327 OBD2 CAN BUS Small Adapter. Android, Torque, & backwards compatible with ELM. Retrieve Fault Codes (DTCs) and clear Check Engine lights. Absolute Throttle Position. Vehicle Speed. Modèles personnalisables. Vendent des images ! CV7 9QS Coventry. Paragon Way. unité 1, zone 4A. JJ Car Parts Ltd. Chaque fois que possible, nous fournissons le numéro de pièce. En cas de doute, demandez. Whenever possible, we provide the part number. If in doubt, ask. unit 1, zone 4A. Used part in good condition and working order. Paragon Way. This listing is for a genuine Land Rover used part. This Immobiliser Ecu is from a 2003 Range Rover MK3 (LM) Please match current part number of YWC000400 as shown in the pictures. BREAKING FOR PARTS LAND ROVER DICOVERY 4 SPORT L319 3.0TD V6 AUTO 256BHP ONLY COVER 67K 2014. MAKE SURETHE PART NUMBER MATCH WITH YOUR OLD PART. All our parts are used second hand and off the shelf so may have storage marks on them. Land Rover Discovery 1 2 300 TD5 V8 DSE Range Classic P38 Rotary Coupler Clock Spring Squib - YRC100350. Good working condition - removed from '02 plate Discovery TD5. BUT - it must be fitted carefully & correctly as they are fragile and will break ! LAND ROVER DISCOVERY 2 TD5 2.5 98-04. Abs ecu module. This doesn't include NI, ROI, offshore, the highlands or international. They MUST be refurbished by a brake specialist before fitting to the vehicle. Removed from a 2005 Land Rover Discovery 2.7 188Bhp - 5 Door 4x4 - Diesel - 6 Speed Manual - Engine Code 276DT. Land Rover. Discovery 2005 To 2009. ECU Engine. Manufacturer Colour. Part Colour. Body Shape. PART NO: IGG000070. THIS IS A USED PART SO MAY REQUIRE A CLEAN DEPENDING ON YOUR PERSONAL PREFERENCE. Removed from: Land Rover Discovery 3 2005. 2015 LAND ROVER RANGE ROVER SPORT ECU. This item has been removed from a: 2015 LAND ROVER RANGE ROVER SPORT. Year: 2015. Make: LAND ROVER. Model: RANGE ROVER SPORT. Fuel type: Diesel. Vehicle Colour: Gold. LAND ROVER RANGE ROVER L322. We are happy to help you. Parts colour may very due to manufacture production. PICTURES AND PART NUMBERS ARE FOR REFERENCE ONLY AND DO NOT IMPLY THE MANUFACTURER. ALL SPECIFICATIONS ARE SUBJECT TO CHANGE. This unit is in full working order with no scoring and is standard. Jaguar Land Rover digital TV turner ck52-14f641-af in good used condition.